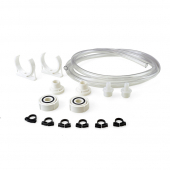 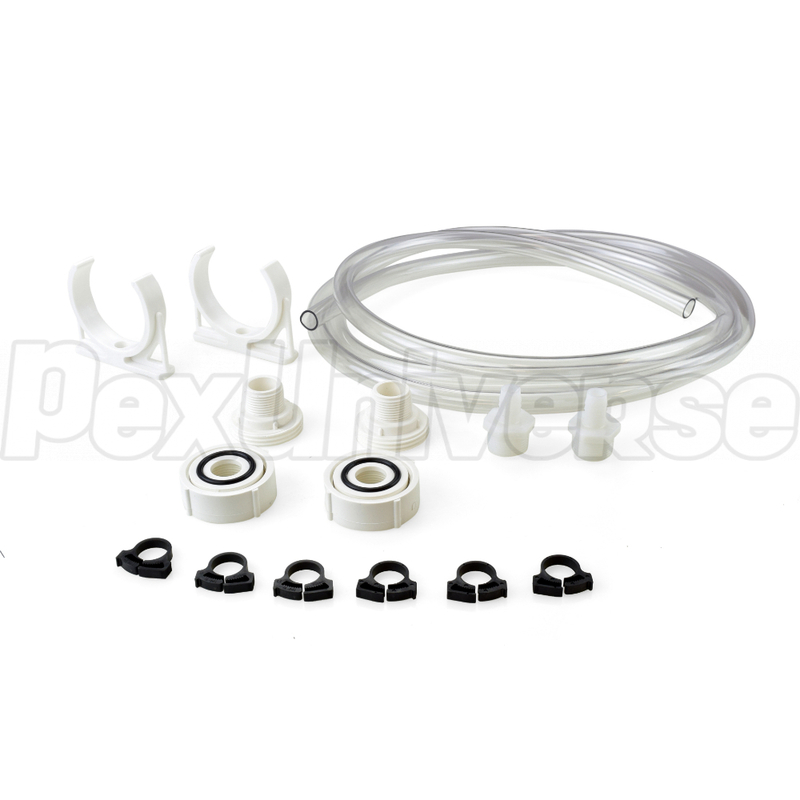 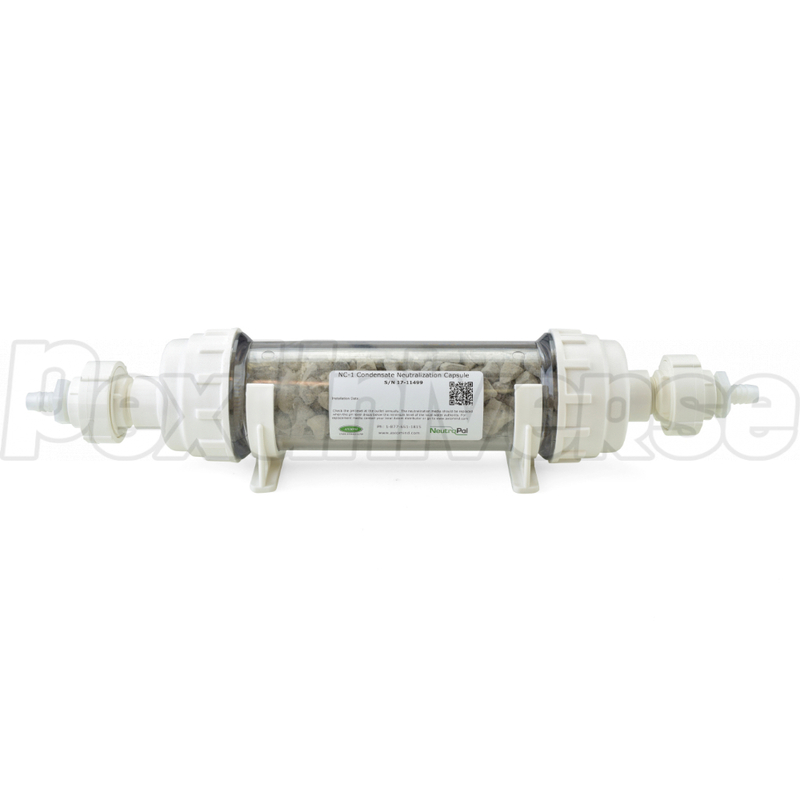 Axiom NC-1 NeutraPal is condensate neutralizer kit, designed to raise pH of the condensate drained from condensing boilers, furnace and other high-efficiency equipment. 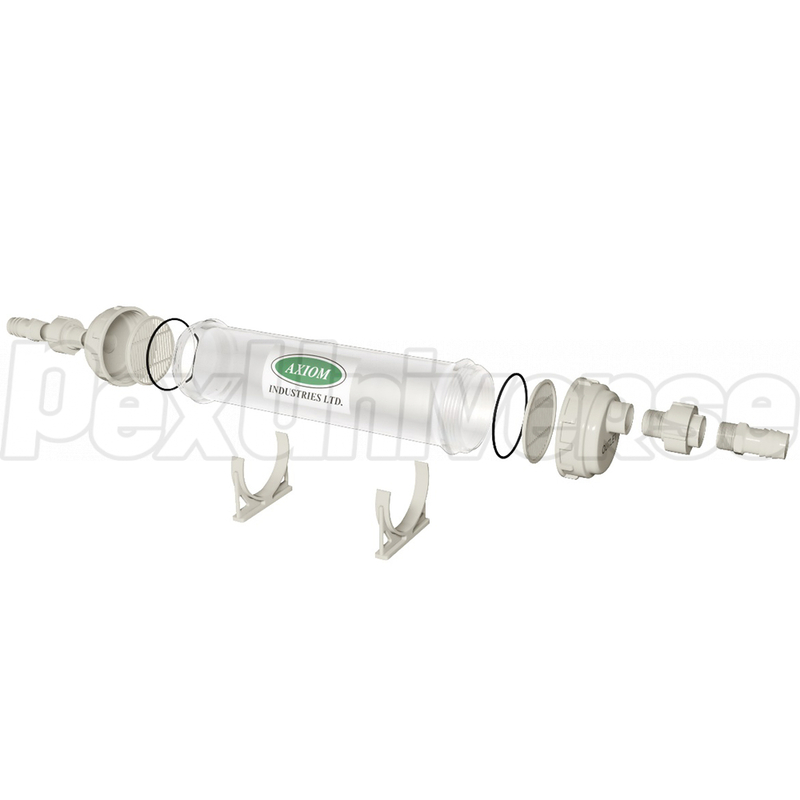 It is connected directly to the condensate drainage from the equipment prior its entry into the drain. 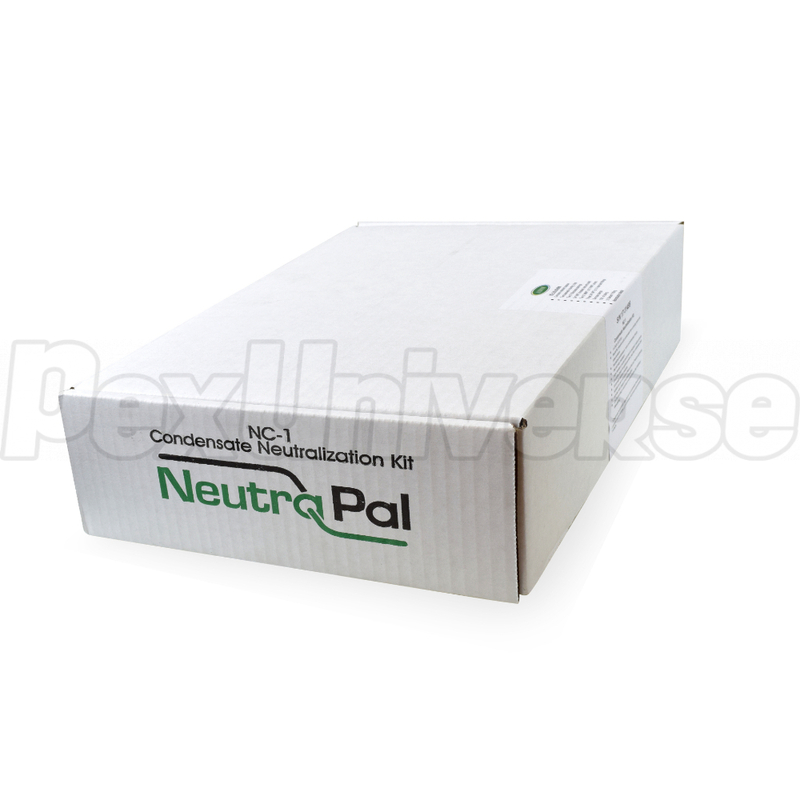 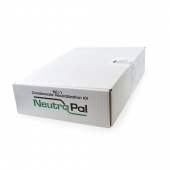 Neutralizing condensate helps to prevent damage to sewage system and the environment. 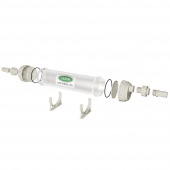 NC-1 kit includes: condensate neutralizer tank (capsule) with neutralizer media, floor/wall mounting brackets, 10ft vinyl hose with fittings and clamps. 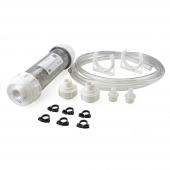 Kit includes: capsule w/ condensate neutralizer media, (2) base/wall mounting clips, (2) 3/4" MNPT x FNPT unions, (3) 3/4" MNPT x 1/2" hose barb adapters, (6) hose clamps, 10ft vinyl hose, 1/2" barbed wye fitting. 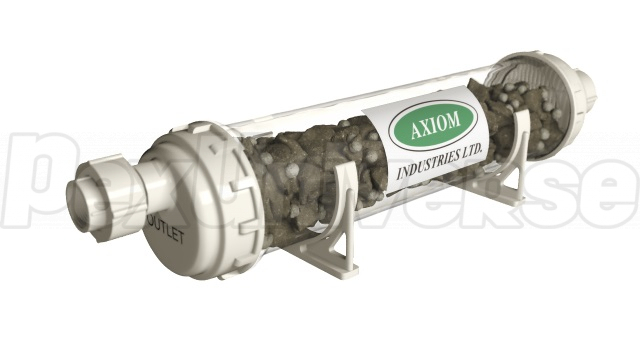 Dimensions (L x W x H): 13-3/4" x 3-5/8" x 3-5/8"
Capsule fill/access opening size: 3"
Replacement media: NM-1 (3.0 lbs).